Custom Software Development is one of our core areas of expertise. Get world-class custom software built by best in class software developers, cost-effectively! 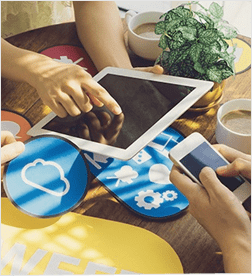 We have built world-class software products ranging from complex enterprise business software to cool mobile apps with rich-functionality. Tell us your requirement. Let's discuss! Technousa is one of the best offshore software consulting and development companies with offices in US, India and UK. Our team of highly skilled and experienced software developers are at par with the world's best software developers and as our team is based in India, we are able to provide world-class custom software development service cost-effectively – when you do business with us, you save a lot of cost without any compromise on quality of work. We call it 'Smart Outsourcing'! Our team has over 9 years of experience providing un-matched services and value to our esteemed customers. Our highly competent team has the experience, in-depth technology expertise, deep knowledge and understanding of market trends and business requirements. Our multi-disciplinary team of software developers leverages a combination of factors including their vast knowledge and expertise, software industry best practices, proven processes, techniques and tools to provide best in class software consulting and development services with an objective to increase business efficiency and ROI. Client approaches us with a software requirement for a unique business process – our team analyzes the business process and requirements. We identify the gaps and give the right recommendations. We work together with your team to devise the software development plan. Our highly-skilled team of software developers will then implement the mutually agreed development plan – what you'll get is a world-class custom-built software product that will exactly meet your process requirements and will immensely help you to boost process efficiency. Our software consulting team will work closely with your team as your reliable IT/Software consulting partner. Our team will help you to identify key business processes where technology can play a crucial role in improving them and boost your organization's overall efficiency. We may not recommend developing custom software modules for every process requirement, our team may recommend off-the-shelf components that can be effectively used to save resources and time wherever possible. Our team will then identify gaps which can only be filled by custom modules – need-based custom software will be developed which can be seamless integrated into the existing system. 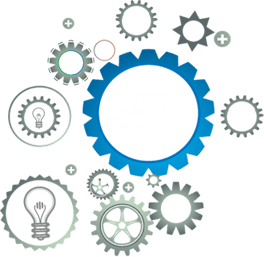 Our team of experts will make sure that recommended off-the-shelf software and the developed custom software are integrated in a way to work together seamlessly as a single system. Our team will also keep track of the developments happening in your organizations and will step in whenever new requirements and opportunities arise – additional features and new modules will be developed and integrated to enhance overall process efficiency and organizational performance.